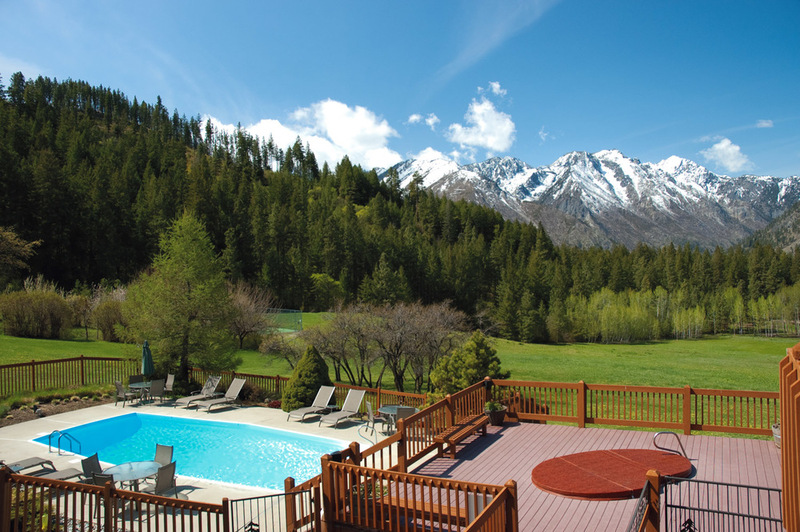 Washington is often thought of as damp and rainy, but not true over here in the Eastern Cascades! Just 2 1/2 hours from Seattle the climate changes drastically. The warmth and sunshine welcome you here on the "dry side" of the mountains. Summer temperatures average in the 80's. 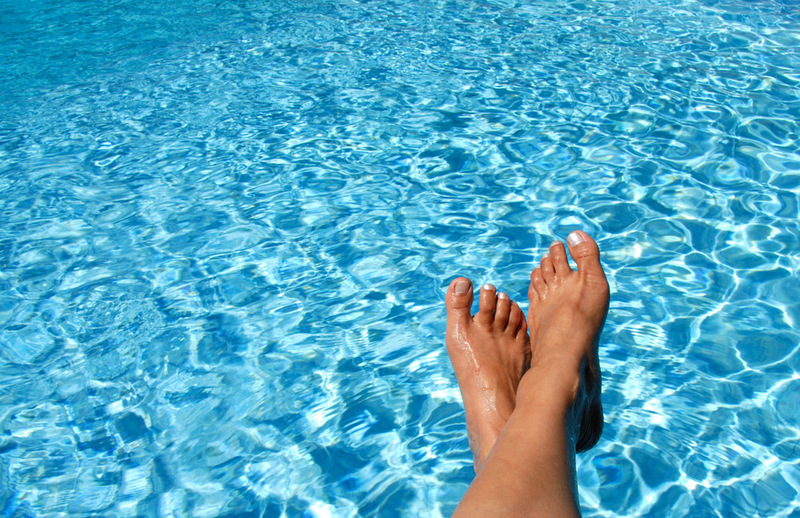 Our heated pool is open mid May through September and hot tub is open year around. 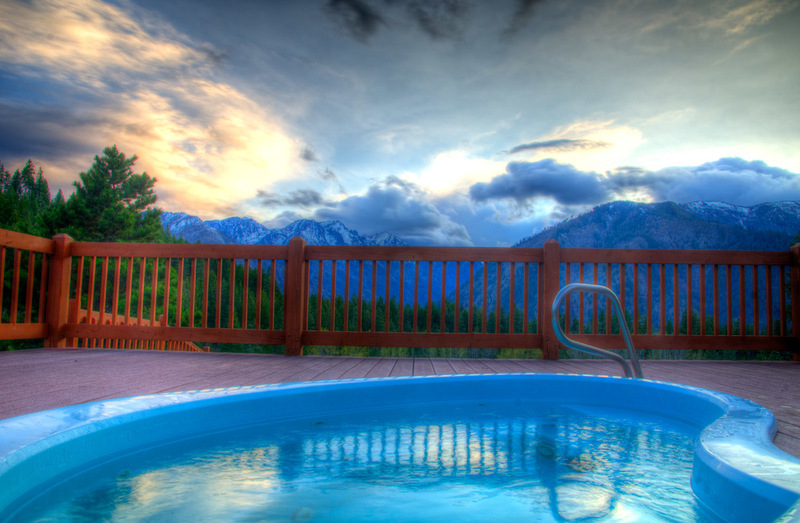 There is nothing quite like relaxing in our hot tub overlooking the majestic Cascades on a clear , star filled evening inthe summer or the winter. Rather than experiencing our catch phrase "1000 feet closer to heaven",...you'll think your already there.